What am i doing? Painting? Playing tic tac toe? Of course not. 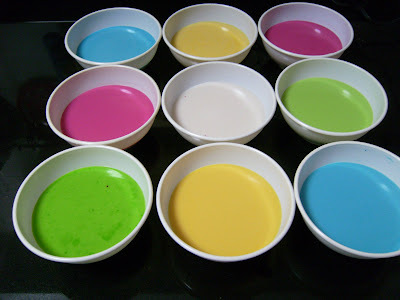 This is actually the preparation for making the Nonya Kueh Lapis - my nephew's favourite. 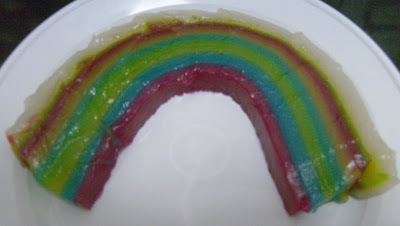 I have done this many times but was not able to get an even multi-layer each time i make this. 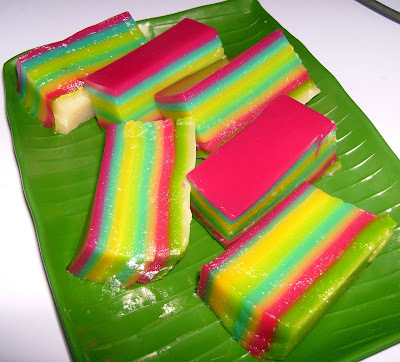 Till i recently saw this food recommendation on Nonya food that give me this idea of getting a proportionate same thickness layer. 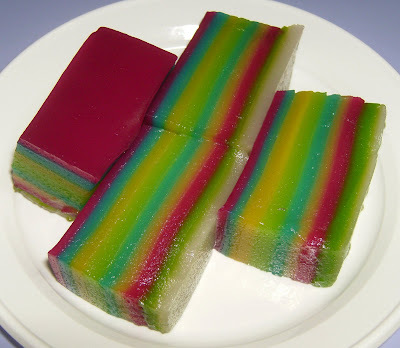 Of course, my sifu also gives me a tips - she said to weigh the total mixture, after that divide it into 9 portion as the Chinese name of this Nonya cake is called JIU CHEN GAO literally 9 layer cake. 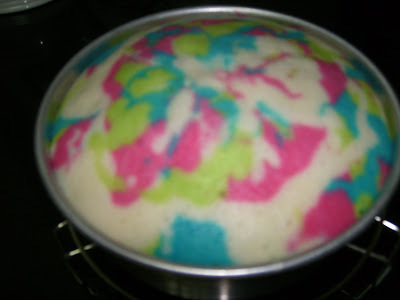 Doesn't this look like a rainbow? 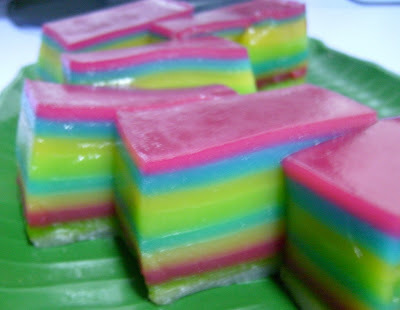 After making this kueh, i still have some balance coconut milk. I didn't want to waste it as coconut milk can't keep long, even when leave inside the fridge. 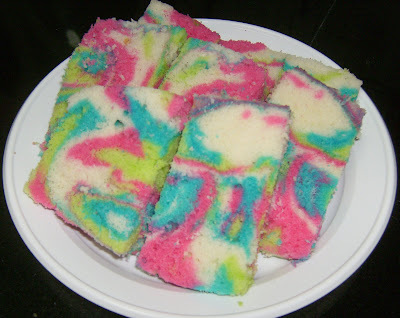 As such, i came out with my version of Steam Rainbow Marble Cake. 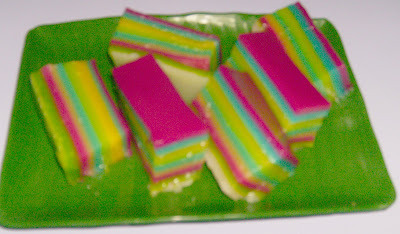 Athough this is a simple cake, but it taste heavenly especially when it is just fresh from the steamer.